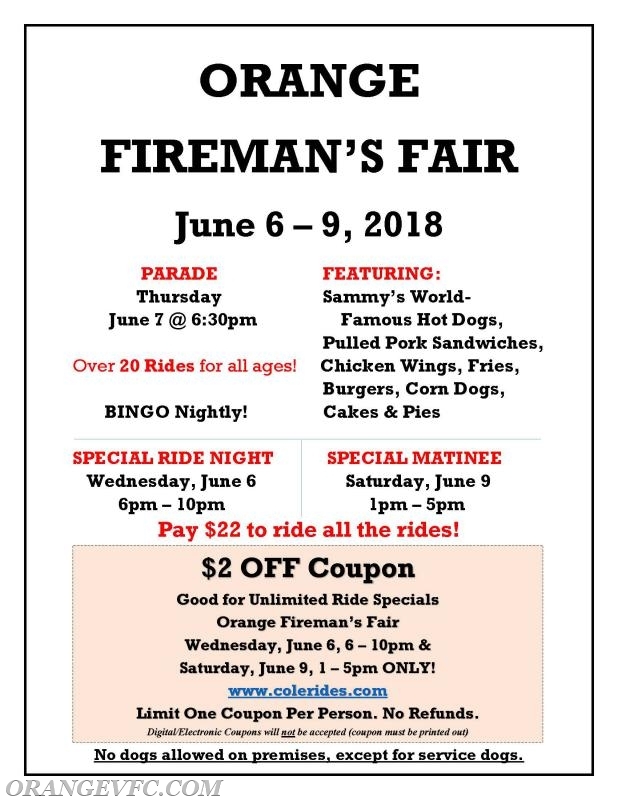 The Orange Fireman's Fair is fast approaching. Check out our ad that includes a $2 Off Coupon on the unlimited ride specials on Wednesday June 6th 6 - 10 pm and on Saturday June 9th from 1 - 5 pm. Also do not forget about the parade on Thursday June 7th at 6:30 pm. Please see the link provided below if you are interested in submitting an entry into the parade. We look forward to seeing you there!